I bought this Angus Trim Xa.7 a few months ago. It's a terrific little sword with a 23 inch blade. Ooh, not seen this topic before. Here are a couple I got early this year, Albion Yeoman and Maximillian with tod's stuff transit scabbard..Got a scabbard for the Yeoman as well but not taken pictures of it yet, I probably don't have to say it but I will, both Tod and Albion do absolutely stunning work. Preben--If that's a transport scabbard, I'd be PROUD to wear it. Heck of a lot better than my stock scabbards! Roger--If you ever decide to part ways with that baby, let a swordbrother know! 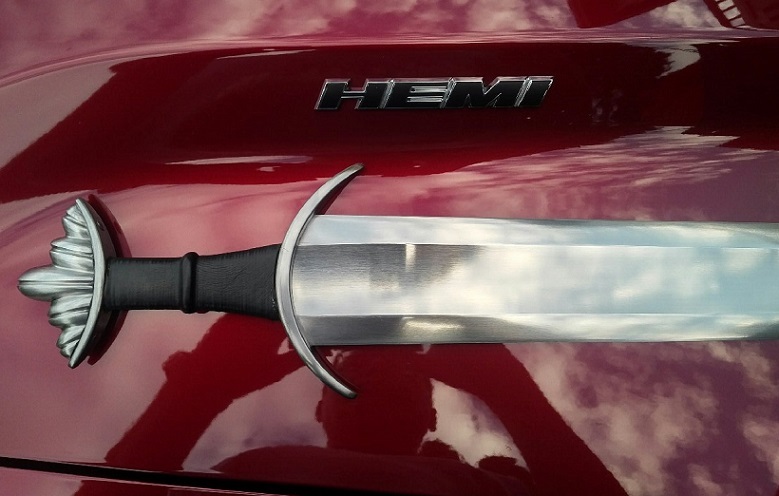 That would be a perfect sword for my little, short wife! Nice swords Preben. I once had a Sovereign, those Albion Type XIV's are impressive. I notice Albion have changed their makers mark. Thanks, I do love the type XIV, indeed. And yes they seem to have changed it, my Crecy which is a year older is smaller and doesn't have that darker color inside, I quite like it myself. 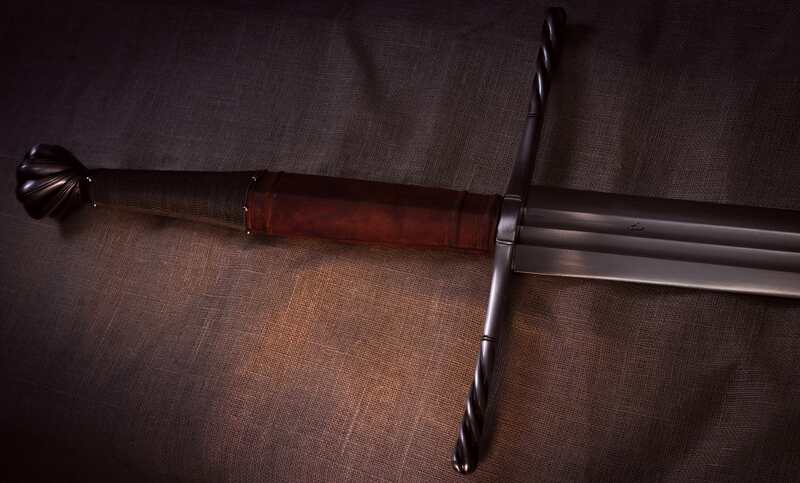 Pattern-welded Viking sword by Michael Pikula. One of the batch of seven he made last summer. I bought this through Kult of Athena, who did a fantastic job all around. 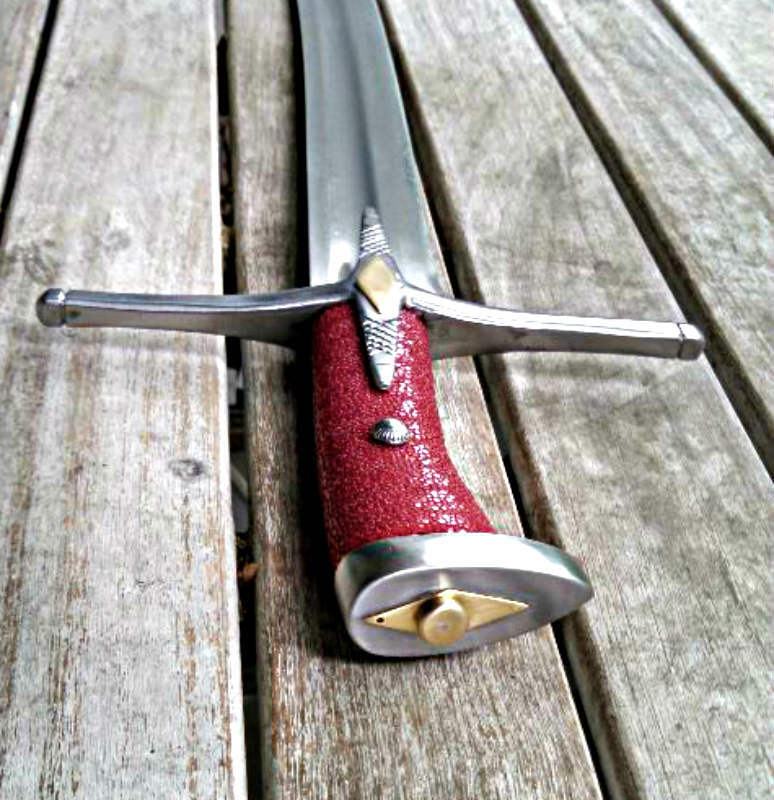 The sword itself is exceptionally well made and gorgeous. 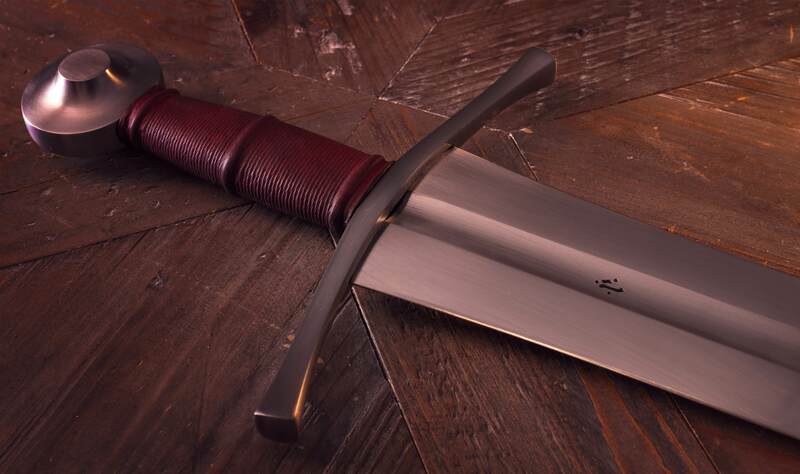 It has a wide, beefy blade, and is definitely on the heavier end for something made for a single hand. On par with Albion's Tritonia. This is my second piece from Michael not counting the run of "little seaxes" he did a while back. His work is amazing and I hope he does more of it. Here is my latest and favorite... can't say enough wonderful things about the Vigil, especially with the diamond wrapped grip. Thank you to all who gave me input on an older post that helped me to decide on this particular grip choice over the cord wrap. Also, the DBK scabbard is truly fantastic... Brian's work never ceases to amaze and as soon as I saw this scabbard I knew I needed to purchase this sword. 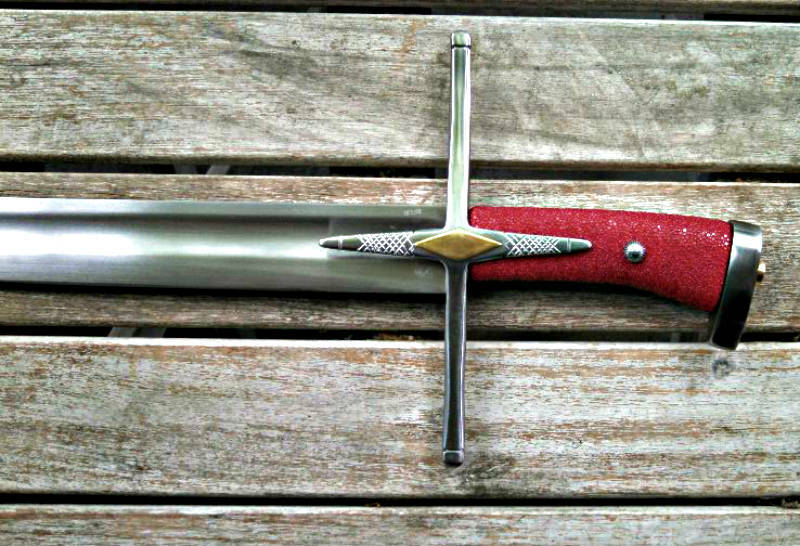 Del Tin has a fairly new model out - DT7167, a late 16th century Hungarian sabre. It is described at Del Tin's website and also at KOA as a late 15th century piece, but that is surely a typo - the 16 in DT7167 indicates that Del Tin considers it 16th century. Mine has been customized by Jimbo Curry. 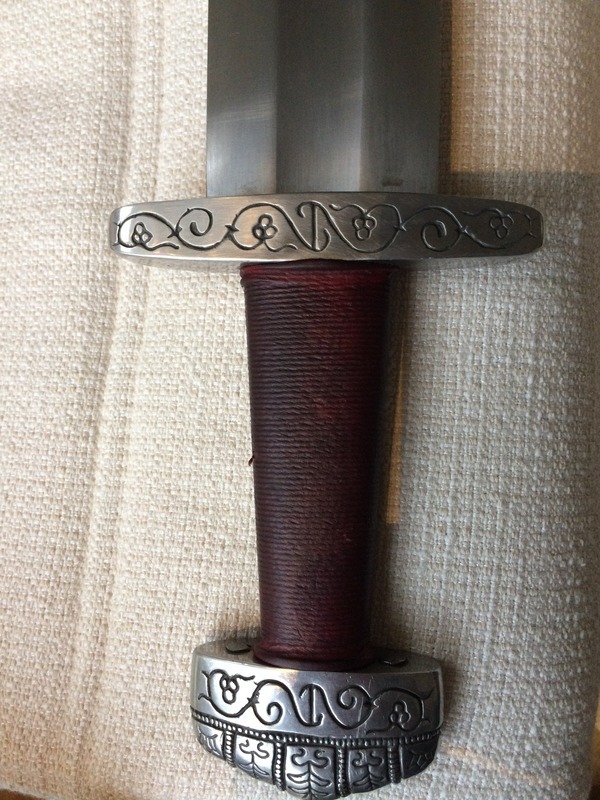 He took off the gray Del Tin finish, wrapped the grip with red-dyed rayskin, and incised decorations on the langets,grip and pommel. 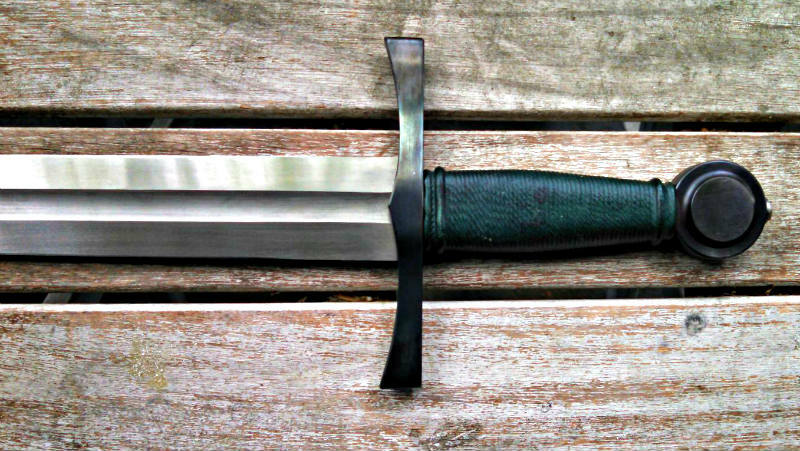 Almost all modern made sabres are inferior to the originals, but this one is pretty good. It has an overall distal taper of 67% with thinning all the way down the blade. It balances more than 6 inches down the blade, but I believe that is fine for a sabre. Nice piece with great upgrades. Congrats! It's nice seeing good production pieces dressed up and made really unique. This one should look familiar if you've been lurking on these forums for a while, although it's had a grip upgrade since it appeared on myArmoury. 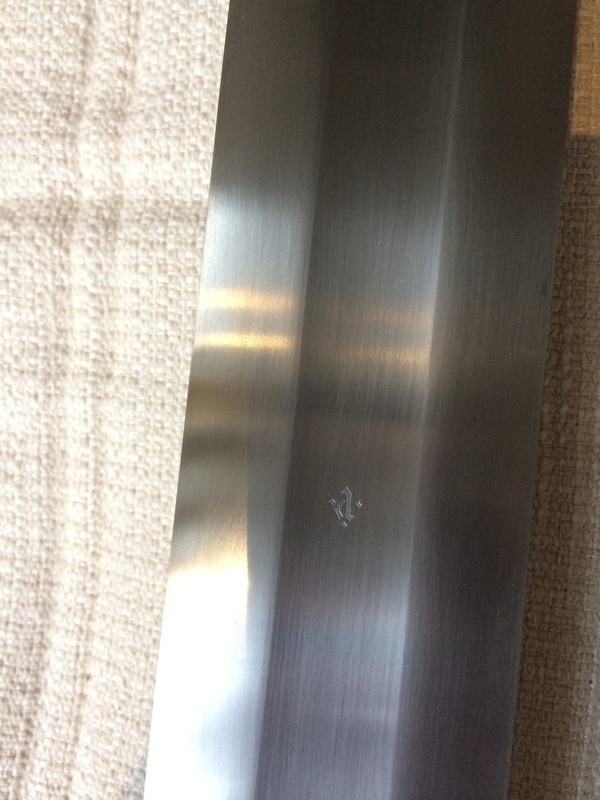 I thought that I'd missed the boat on Michael Pikula's clean, monosteel viking-age swords, so was thrilled to pick up one of my favorites second hand. I love the broad, thin blade, fine tooling on the Cawood-style pommel, and opposing hemispheric upper and lower guards.Guess I'm a sucker for that 'hemi' geometry & American muscle. I know Michael Pikula, but have never seen hide nor hair of that piece! Can you post full length or in hand shots for scale, and maybe some rough stats or thought on the piece? That looks spectacular J.D.! I would be worried that the cars hood would damage the finish on that beautiful Pikula!! By chance could you post some specifications on the sword? I'd love to know more about the Mopar as well! Congratulations on two beauties in the picture. I would love to add another piece by Michael if one becomes available when I have funds, hardest part of the whole thing! The picture below shows it next to my Albion Huskarl, which gives a notion of the massive width of this blade. Despite that width, it comes in similar in weight and handling to the Huskarl, due to a very thin, flexible blade with considerable distal taper. I'd estimate 4mm at the base running down to less than 2mm near the tip, perhaps 1.5mm by eye. 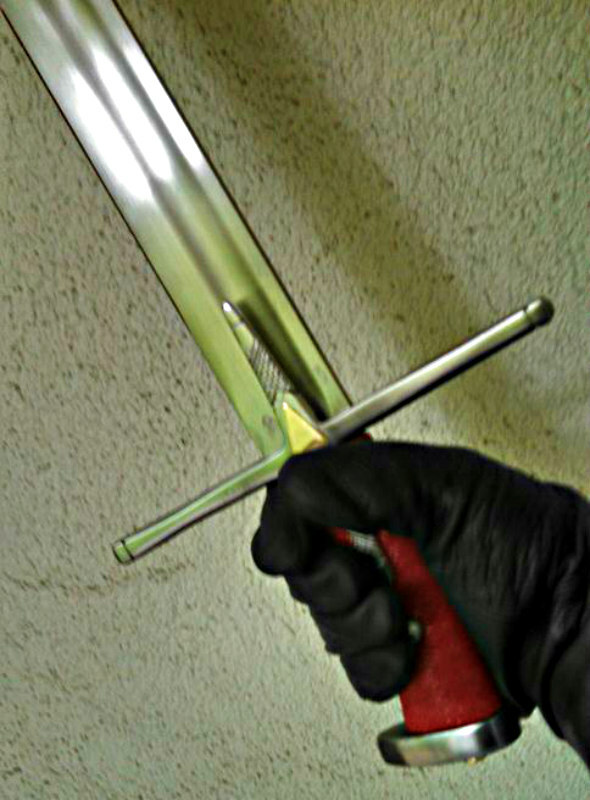 In fact the rounded guards these Anglo-Saxon types make them more comfortable to wield in my hands. Think of an oversized Albion Thegn. I also have to give Michael credit for doing such a clean job on the fuller. From what I've seen, these wide shallow fullers must be tough to pull off compared to narrow fullers. Now the car, that's a bit off topic, but in short its a Dodge Challenger R/T with 5.7L/345CI V8 Hemi, 375hp. Supposedly does 60mph in 5.1s. 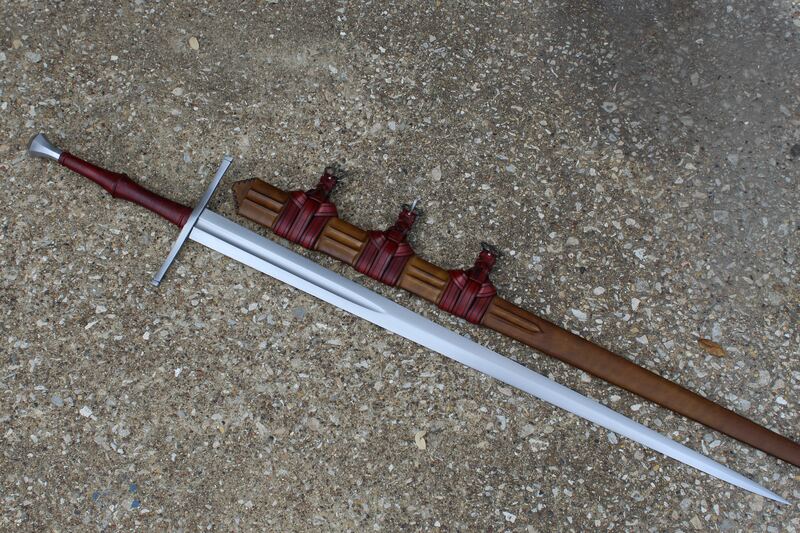 Much like my favorite swords, its not light or agile, but handles well enough and has lots of power. I know, I'm a lucky guy. You are indeed a lucky man J.D.! A very impressive sword that looks nice and large next to the Huskarl, which is not a narrow sword at all at roughly 55 mm wide. Thank you for posting the link to the original post about the sword as well! That thing is pretty darn nice looking. Was the wait time normal and did you pay much of a fee for having him do a non-standard design?